Protect your precious Apple iPad mini with this elegant and sleek leather book-style case. 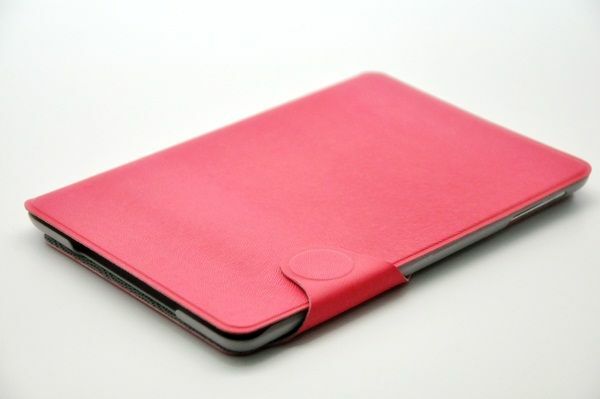 It features its simple and minimalist design which adds style and elegance to your iPad. It’s constructed from high-quality leather material and polycarbonate plastic inner case that provides all-around protection for your iPad. Its soft inner lining offers maximum protection against smudges or surface scratches. Its front cover conveniently folds into a stand for horizontal viewing which is perfect whenever you're watching movies, scanning photos or reading emails. You can now preserve the new look of your Apple iPad mini, provide impact and shock protection and keep its compact dimensions with this fantastic looking case!